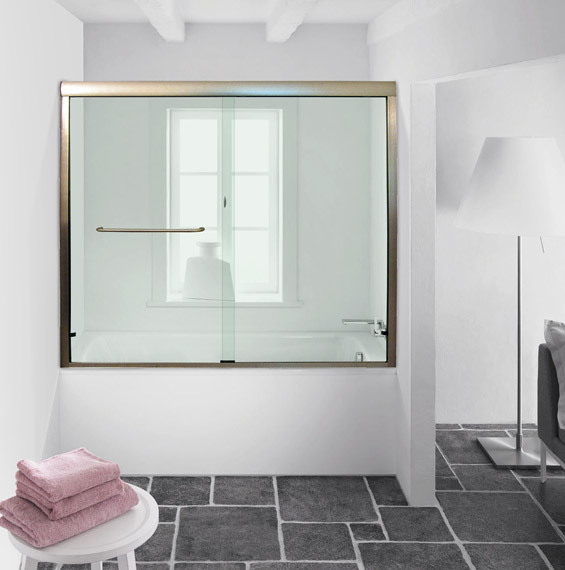 Linear Semi-Frameless sliding bathtub doors have glass doors that are framed around the outside edges by a high-quality stainless steel frame that is available in a variety of finishes. 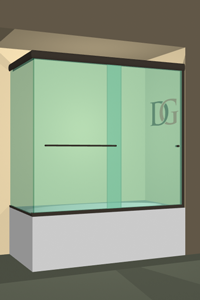 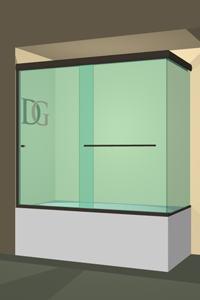 Unlike contractor-grade shower doors, Dulles Glass shower doors are made from thick, high-quality glass and luxurious hardware. 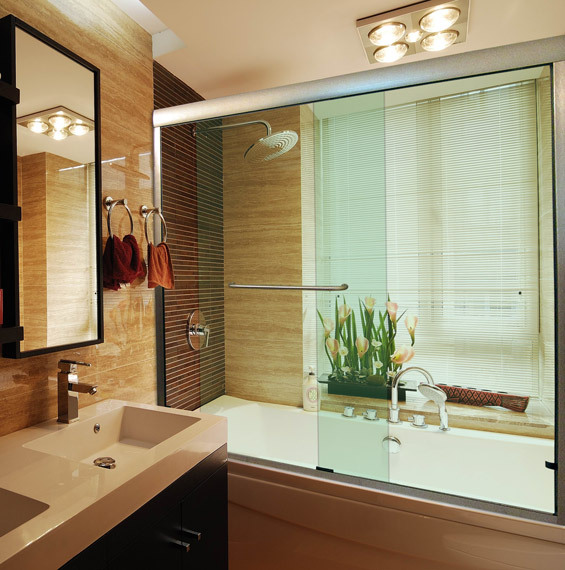 There's no thin, shaky glass or rattling sliders here: just smooth, quiet gliding on substantial and attractive tracks. 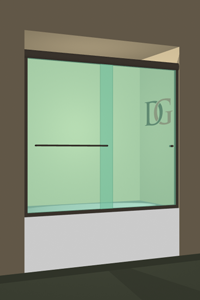 The semi-frameless sliding doors are bypass doors - which means that both glass panels move for added convenience. 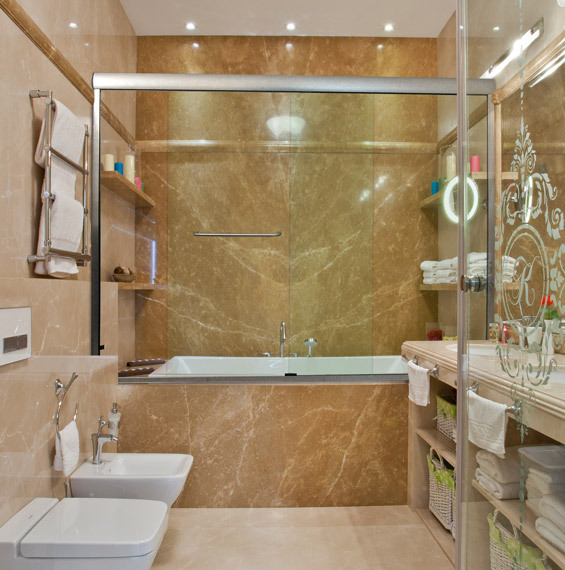 Semi-frameless sliding bathtub doors are available as a straight, flat sliding shower door and as a 90° corner shower door configuration. 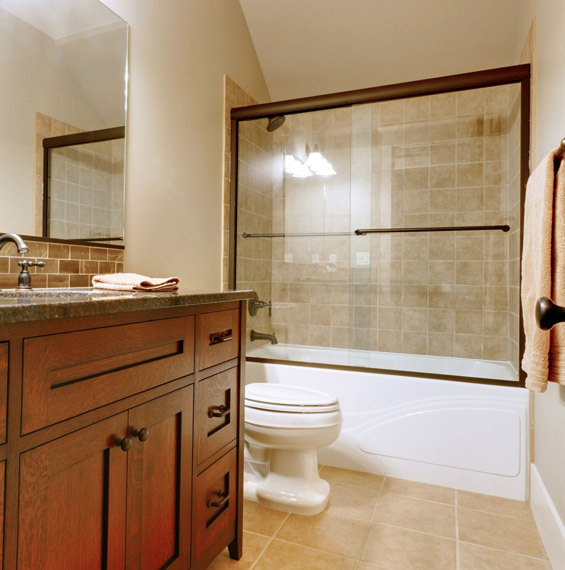 For the 90 degree, you can choose a half or "knee" wall on one side if your bathroom configuration allows it.